As Brock Lesnar completes his UFC 200 return and his WWE return at Summerslam, we wanted to look back at the best matches of his career. This list was actually pretty tough, as he has some great matches from the earlier part of his career. I had to leave off his match with The Rock at Summerslam 2002, his matches with Cena (which are a bit overrated to me), his WM 19 and Summerslam 2003 matches with Angle, and his matches with various others as well, but these are the ones that truly sit as the strongest in his career. Let's get into it. 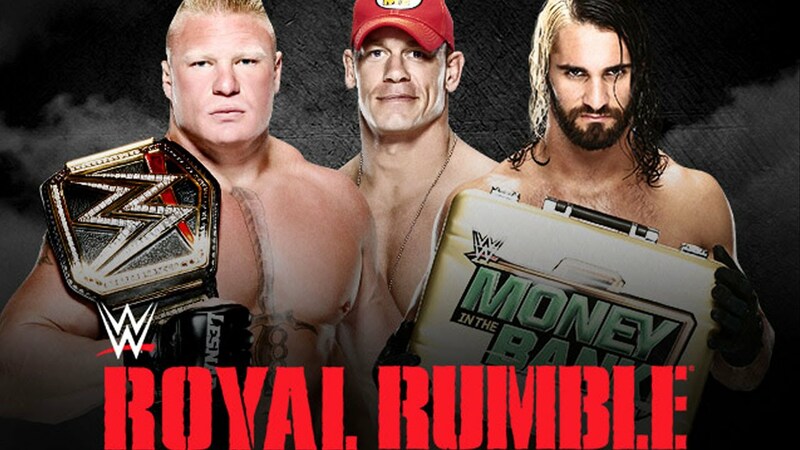 -This match exceeded expectations and was my favorite match of 2013. I wanted to see Punk slay the giant and take Brock out. 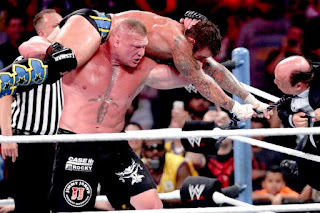 Brock and Punk had amazing chemistry, and after sitting through Cena vs Brock and nearly a year of Brock vs HHH, this was a true breath of fresh of air. Punk and Brock had a brutal match and while Brock got the victory, Punk ended up looking strong and seemingly wanted to exact revenge on Heyman, which was a great component of this feud and match. -I'm not a fan of the feud Brock and Taker had as older men in 2014 and 2015. I felt like it was unnecessary. Same way I felt about their No Mercy 2003 match also. Waste of time and a feud that was forced. However, 2002? Classic. No Mercy 2002 featured the most brutal match between the two, full of blood, violence, and just pure hatred. When it was over, Brock held onto his title, but ended up gaining more respect for hanging with the veteran Taker. Great match. -This match is my favorite match of 2015. Brock has very little great matches since coming back to WWE in 2012. Oddly enough, this would turn out to be his best since he came back and it's not even close. Take away his overrated Cena one on one matches, his three horrible HHH matches, boring feud with Taker (their HIAC 2015 match was cool), and the hit or miss feuds with the Shield (Reigns feud was mediocre as was the match, the Ambrose feud was okay, match was okay), and the only two great matches he had were this triple threat and against Punk. This match is largely so great due to Seth Rollins, but Brock getting taken out only to return and get the win is a dope moment all around. Crazy match that turned into a classic. -The best matches can end unexpectedly. I don't think I believed that Eddie would win the belt, but man was I happy when he did. Brock and Eddie put on a 30 minute clinic, which saw Eddie bring the absolute best out of Brock point blank. Brock seemed to be nearing victory, and the Goldberg interference cost him big, but regardless, it was the seminal career moment for Eddie Guerrero and one of the best Brock matches ever. 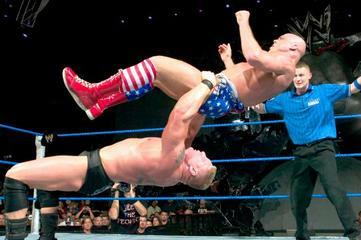 -The greatest Angle and Brock encounter. 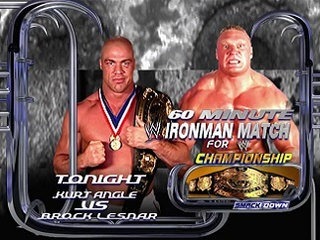 The best match in Smackdown history. 60 minutes. On national television. Brock. Angle. The two greatest rivals of the first chapter of Ruthless Aggression. Brock was the heel now and was ruthless for sure. Brock would go toe to toe with Kurt, and it seemed as if Kurt was in danger until he picked up the pace and was almost about to tie Brock for amount of falls, but came up short and Brock would be crowned WWE Champ again. This match is hard to describe, but there's one word that comes to mind: amazing. I'm sure there's a few things people can say about my list, but it's MY list. Feel free to put your choices or your list below. 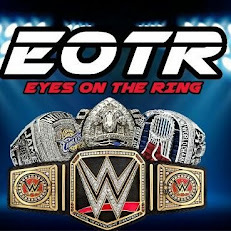 The triple threat w/ Big Show and Angle was great.